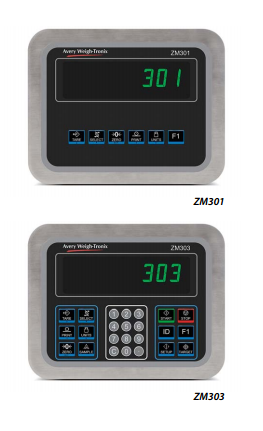 The Avery Weigh-Tronix ZM300 Series weight indicators are everyday indicators for common industrial weighing applications. These high performance, multi-functional indicators will analyze, store, display and transmit data, providing you with greater visibility of weighing performance. Highly adaptable and available with a choice of display technologies and enclosures, the ZM301 and ZM303 give you the flexibility required to suit different applications and meet your business needs.